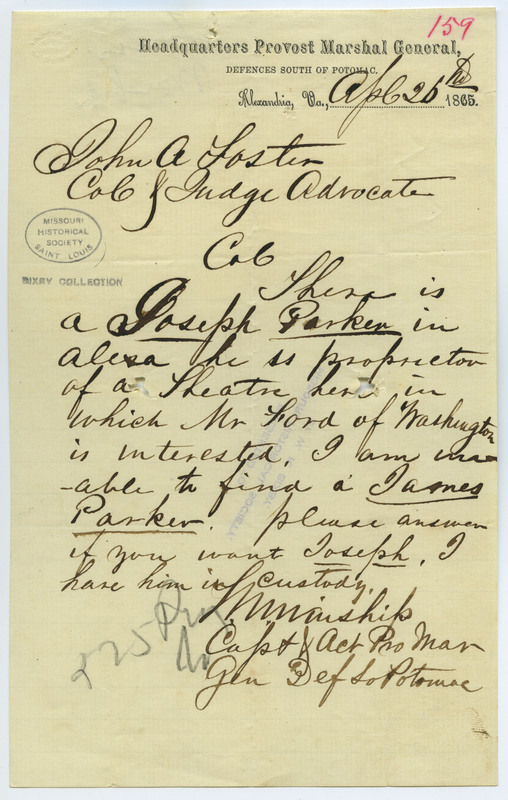 States, "There is a Joseph Parker in Alexa, he is proprietor of a Theatre here in which Mr. Ford of Washington is interested. I am unable to find a James Parker. Please answer if you want Joseph. I have him in custody. . . ." Refers to the capture of a suspected conspirator of John Wilkes Booth in the assassination of Abraham Lincoln.